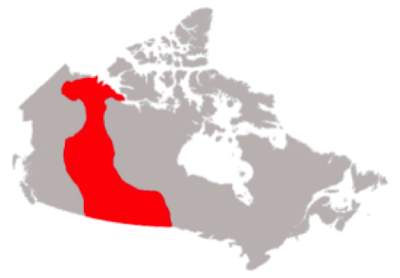 GENERAL INFORMATION The Plains region is in between the Cordillera and the Great Canadian Shield. It is found in the Yukon, Northwest Territories, British Columbia, Alberta, Saskatchewan and Manitoba. Sometimes, people make the mistake of calling the Plains the Prairie Provinces or just the Prairies. 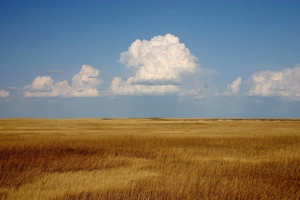 The term prairie refers to the prairie grasses that grow wild in Alberta, Saskatchewan and Manitoba. The Interior Plains landscape includes much more than just the prairie grasslands. You'll find that this entire region is generally flat in elevation. Just as in the Cordillera, the human population tends to be greater in the southern region of the plains, but you'll also notice that town and cities generally are beside a water source like a lake or river. The Plains truly rely upon water, for the region's climate is generally dry. Water not only helps irrigate crops and livestock but it is also a source of transportation for our products, supplies, goods and services. In the past, these water routes were also major fur trading routes. Similar to the Cordillera, these waterways also act as areas of recreation, tourism, as well, as resources like hydro-electricity for Canadians. Each city in the Interior Plains offers its own unique industries, services and resources. Yet, it is important to discuss major industries found within this landscape. First of all, the farming is extremely important. Crops such as wheat, barley, oats, flax, canola, mustard, potatoes, corn and sugar beets are grown in the plains. Farmers also raise cattle, pigs, poultry, to name a few. 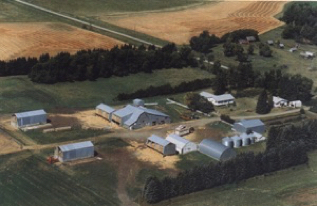 Both the crops and livestock produced in this area, feed many Canadians, as well as, others around the world. Moreover, the agricultural industry is also linked with promoting the tourism industry. Many rodeos, stampedes and agricultural shows are held throughout this region for everyone to enjoy. 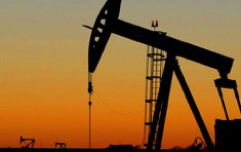 Secondly the mining of fuel products like oil, natural gas, coal , potash copper, zinc, gold and uranium is crucial. Here Canadians take these resources that lie below the Plains and refine or make these resources into other products that all Canadians need on a daily basis. Lastly many of the forest areas found in the Plains are harvested for the lumber industry or else admired by tourists for the tourism industry. The resources found in the Interior Plains are transported across Canada to other regions. Since most of the Interior Plains are flat, transportation of goods and services is easily done by trains, pipelines, trucks, and planes. In other words, the Interior Plains supply a very important link for all Canadians and their economic development. To drive across the Prairies is to see endless fields of wheat and canola ripening under a sky that seems to go on forever. The plains of Alberta, Saskatchewan and Manitoba are among the richest grain-producing regions in the world. Yet even here are surprises. If you leave the road at Brooks, Alberta, and drive north, you descend into the Red Deer River valley. Here, in desert-like conditions, water and wind have created strange shapes in the sandstone called "hoodoos." The same forces of erosion have uncovered some of the largest concentrations of dinosaur fossils in the world. 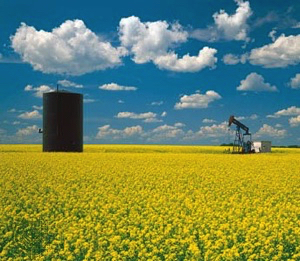 Alberta is Canada's leading producer of petroleum. 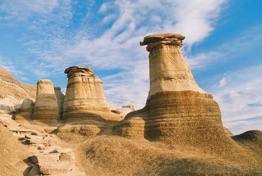 The sedimentary rocks underlying the Prairies have important deposits of oil, natural gas and potash.